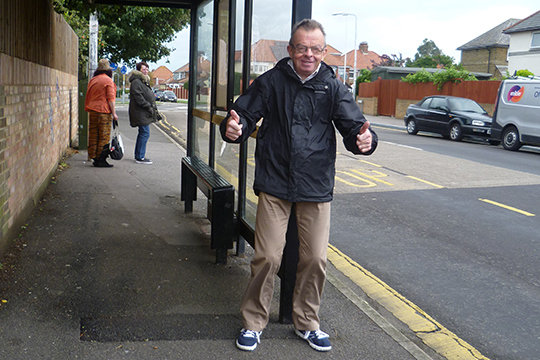 The Kent Pathways Service supports adults with a learning disability to become more independent. We can help you to improve your independence by developing life skills so you need less help. We will support you for between 1 and 12 weeks to learn or re-learn skills that will help you become more independent and need less support. It will not cost you anything to have support from a Kent Pathways Service worker. We will work with you to help you improve your independence in an area of your life you need help. This could be making new friends, getting fit or active or learning to travel independently. If you want to access Kent Pathways Service please speak to your care manager. "I would tell other people to use the Kent Pathways Service!" Paul F.
Find out more about Shared Lives and living with a host family. Alternatives to residential care homes for those who don't need full time care.